Christmas Cards! 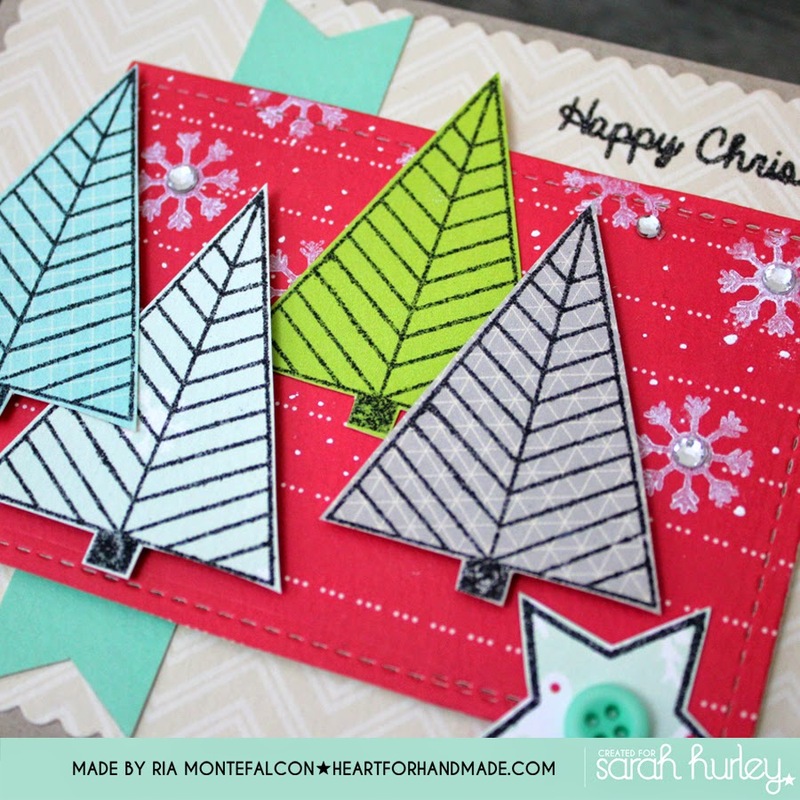 Do you make all of your Christmas Cards? Buy Them? How do you display those that you receive? Take a picture! Hello there! Its Ria here today? I love sending out Christmas cards during the holidays. As I'm sending out cards mostly overseas, I need to make quick and simple cards that are not too bulky to be sent out to the mail. So here's what I did. 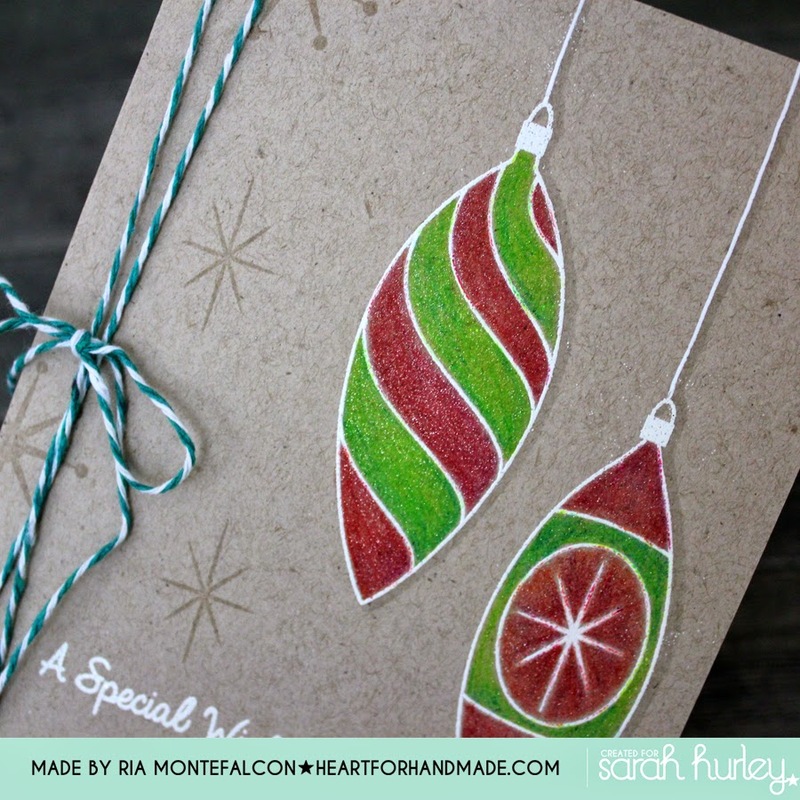 I used the Traditional Christmas Ornaments stamps and white heat embossed the ornaments. I colored them with colored pencils, layering light colors to darker colors. I also stamped some stars from the same stamp set and added green twine to complement the ornament colors. I also put some shimmer using the Clear Wink of Stella glitter pen. 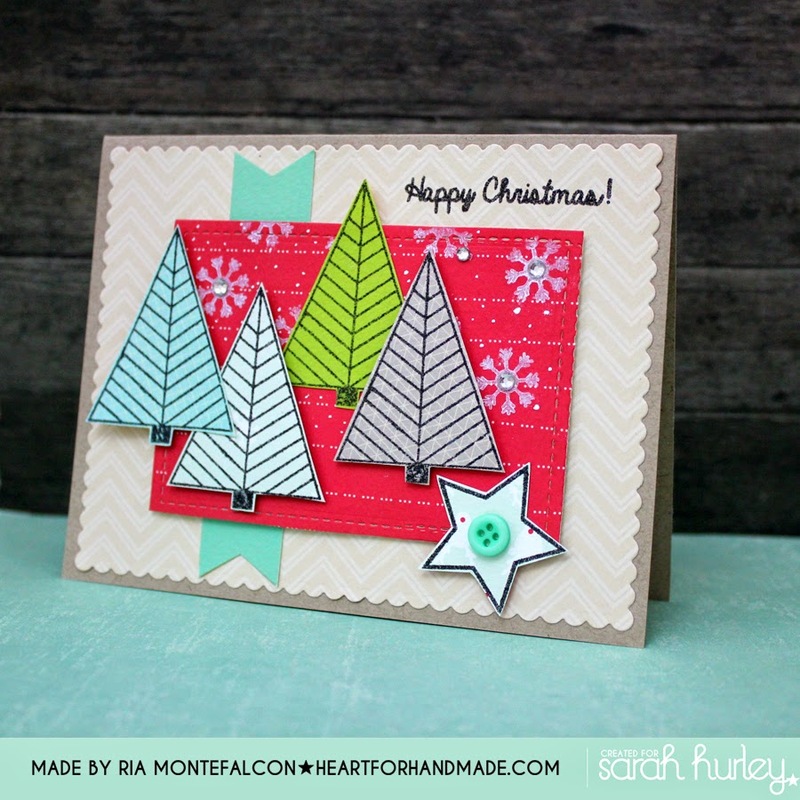 For this second card, I stamped the Christmas tree in different patterned papers from Sarah. I also stamped some snowflakes from the Christmas Red Cups and Labels stamp set using white ink. I then added some gems to give some sparkle on the snowflakes, I also add a star with button for some texture. Here's a closer look of the trees. 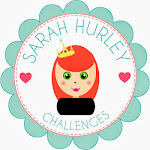 I think the graphic look adds fun to this simple card don't you think? That's it for now and I hope you'll get inspired to do more of holiday cards.